How many Golden Retriever facts do you know? 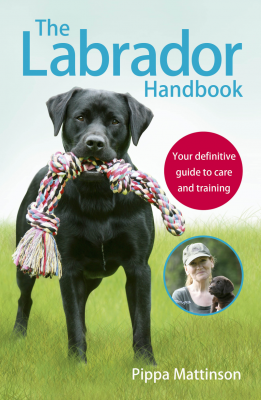 Are you a Retriever whizz or trailing at the back of the pack? Let’s find out! We’ve got 40 amazing Goldie nuggets of information right here for you. By the time you’ve flicked through this awesome list, you’ll be stunning your friends with some seriously fascinating facts. Including a fabulous Fact vs Fiction bonus section at the end! From the side-splitting to the deadly serious, let’s take a plunge into the wonderful world of the gorgeous Golden Retriever. Although the Golden Retriever is now most common seen as a floppy family pet, they actually have an amazing history as a working breed. Sometimes known as gundogs or hunting dogs, this breed group was created to work cooperatively with their human handlers to bring home food. Although it’s hard to pin down their history to one single person, lots of sources suggest a main player in their creation was the 1st Baron Tweedmouth, Dudley Marjoribanks. Lord Tweedmouth was Scottish, and that’s where the first Goldens came about. Bred from several different sporting dogs to achieve an all round great land and water retriever. It’s thought the main historical players in creating the new Golden Retriever breed were Tweed Spaniels, as well as Flat Coated and Wavy Coated Retrievers. Although widely regarded as family pets, the glorious Golden Retriever is still a great hunting companion. Most widely used to fetch shot game, including rabbits and pheasants. Due to the retrieving history, your average Golden will go nuts for a game of fetch. It’s not just a great way to exercise them, but also to strengthen your bond and even reward them during your obedience training! Golden Retrievers today can be divided into three types – English, American and Canadian! Not only are Goldies a lovely breed with a fascinating history, they have some pretty special characteristics and talents too. In fact, one study that looked at over 30 breeds of dog found that Goldies were among the six least likely to show aggression. This doesn’t mean it can’t happen, but the odds are seriously in your favour. That’s right, webbed! The toes on their paws are joined together by thin webs of skin. These webbed paws don’t have a lot of everyday uses, but they can be beneficial in the water. 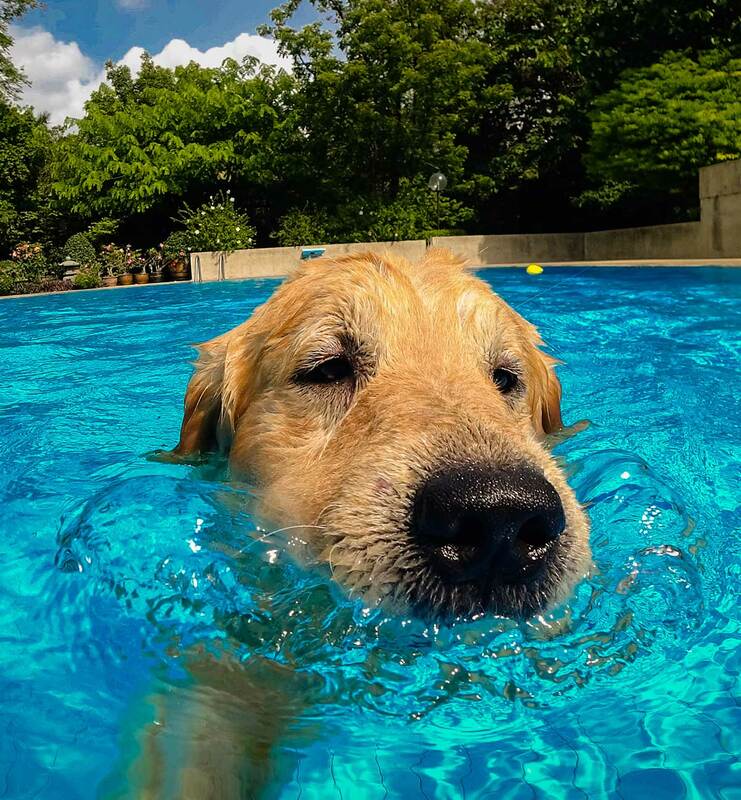 Harking back to their history as retrievers, Goldens are great in the water. Their webbed feet help, and so does their thick coat of fur. Push your fingers gently through your Golden Retriever’s fur and down to the skin, you’ll feel two distinct layers of fur. This is known as a double coat, which consists of a thick undercoat and long fine top coat. This helps to keep them warm in the water, but also contributes to their rather dramatic shedding! Although might be lucky and have a Goldie that blows his coat once or twice a year in moulting season, you will probably find a layer of fur follows in his path on a regular basis. But don’t worry, a good animal hair hoover and cleaning routine will keep the majority of it at bay. Regular grooming will help too. Long coats need a lot of attention. But if you get your pup used to being brushed from a young age this is something that can be a relaxing and bonding time for you both. A minimum of twice a week is a good idea for your fabulously furry friend. Any Golden Retriever owner will tell you their dog is intelligent, but just how brainy is this brilliant breed? 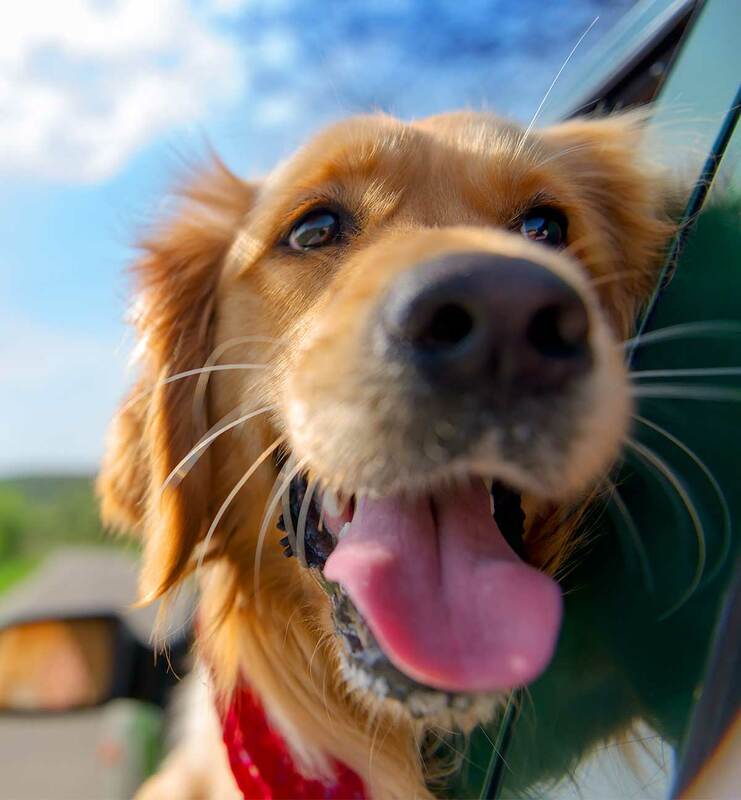 Golden Retrievers are known for their smarts, and in fact according to one study are the fourth most intelligent breed of dog, with just the Border Collie, Poodle and German Shepherd beating them to the top spots. 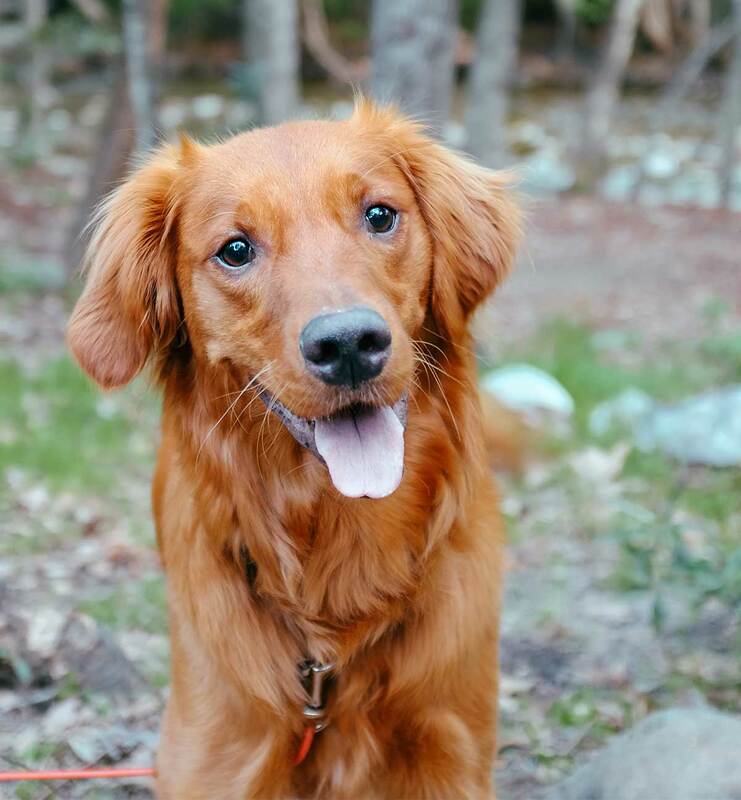 Hunting dogs like the Golden Retriever tend to be easier to train than some other breeds, because they have been bred for generations to work cooperatively with their owners. Golden Retrievers do particularly well with modern positive reinforcement techniques, as they love spending time together and are very motivated by food and games. The world of dog training has changed a lot in the last twenty years, with positive reinforcement taking over from more traditional punishment based methods. With this change in technique and attitude, the range of jobs that our dogs can do has evolved rapidly. And a lot of them heavily involve the Golden Retriever. 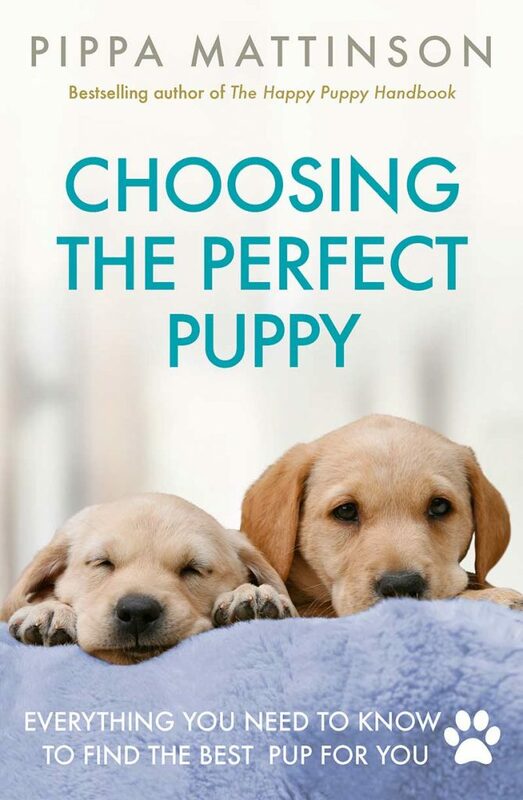 Guide dogs for the blind are often Golden Retrievers or Golden Retriever mixes. They have also secured important roles as service dogs for people with mobility issues. Goldens help children with additional needs to cope with their daily life, from support for kids with autism to helping anxious children stay calm when learning to read. 20. 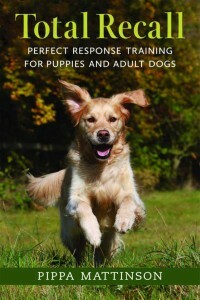 Golden Retrievers help in the military and police too! Not only great in supportive roles in the community, Golden Retrievers can have serious roles with the police and military too. Looking for some kid-friendly Golden Retriever facts, that they can rattle off at school or in the playground? When you bring home your very blonde Golden Retriever puppy he might not stay that way, as fur can darken up as the puppy ages. From the white Golden Retriever , through the English Cream and all the way to the dark red Golden Retriever. This a pup with a serious range of hues! Both Ford and Reagan had Golden Retrievers as pets. Now there are some dogs worthy of a place in the White House! A loving companion, these dogs do best in a home where they get a lot of attention and time from their families. Whether it’s running in the dog park, training in the back yard or snuggling up on the couch. One potential downside of such a social dog, is that they can struggle when kept apart from their owners. In some Golden Retrievers this goes even further into a condition known as separation anxiety, where the dog becomes distressed when being left. Golden Retrievers have more neurons in their brain for it’s relative size than cats do. Neurons are the pathways through which information travels, so scientists believe this is conclusive proof of their superior mental acuity! Golden Retrievers aren’t just great family pets, they are record breakers too! The American Kennel Club have been holding obedience tests for many years now, but the winner of the first three of these were all gorgeous Golden Retrievers. The first image ever uploaded to Instagram was a picture of a Golden Retriever in 2010! At an incredible 113.1 decibels, the loudest barker in the canine bunch is Charlie the Australian Golden Retriever. Or at least one special Golden, Augie, certainly can. His record is perhaps not so surprising given the Golden Retriever’s history as a dog bred to pick up and carry. The world record for the longest ever book title is 11,284 characters long, and contains our favorite breed of dog. You can check out the full title here. 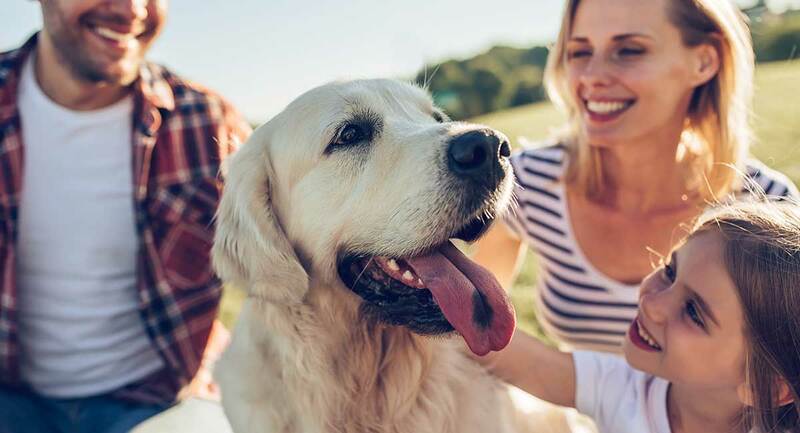 Although Golden Retrievers are by no means the least healthy dogs around, they do have some problems that owners need to be aware of. Although some Golden Retrievers can exceed this estimate and sadly some never meet it, the average Golden Retriever will spend between ten and twelve years with their family. Cancer in Goldies is sadly a very common problem, and one of the reasons that their average lifespan is lower than you might expect. A Golden Retriever that avoids the cancer gene will have a much longer life expectancy. Goldies have three main potential contenders when it comes to joint problems. Hip dysplasia, elbow dysplasia and cranial cruciate ligament disease. Before picking your puppy you can improve his odds of good joint health by getting him from parents with excellent hip and elbow scores. Progressive Retinal Atrophy (PRA) is a common problem with Goldens, but fortunately can be avoided through DNA testing parents before mating. If you are looking for a puppy make sure both the parents are PRA clear to avoid this potentially blinding condition. Sadly, due to inappropriate diets many Goldies weigh more than they should, which can adversely affect their health. One study found more than half of the Golden Retrievers seen in a veterinary clinic were significantly overweight. Dogs are at their fittest when they are the right weight. Keeping to a lower weight can even help improve the risk of cranial cruciate ligament disease. If we are missing some of your favorite Golden Retriever facts, it might be because they aren’t really facts at all! Here are some common Golden Retriever facts that in reality are just plain fiction. Black Golden Retrievers might sound adorable, but they don’t really exist. What is being described is usually a mixed breed with one Golden Retriever parent, and another of a breed that carries the gene for black fur. An adorable Goldie at half the size? There is certainly appeal in that cute little package. But unfortunately, once again there isn’t really such a thing as a miniature Golden Retriever. At least not in the purebred dog world. Mini Goldens are either a Golden mix where one parent is from a smaller breed. Or occasionally one with the gene for dwarfism or bred from runts of the litter. In these last two examples you are best off avoiding them for health reasons. 40. Golden Retrievers make great pets – Fact! For the right, active home, Golden Retrievers can make amazing pets. 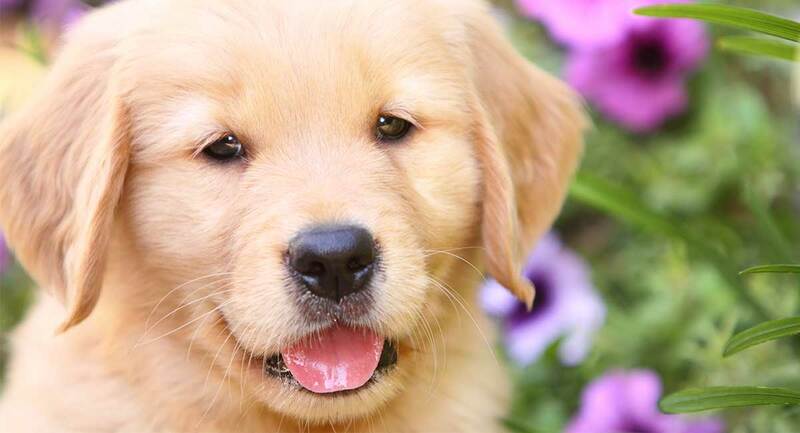 If you are thinking of bringing home a Golden Retriever puppy soon, then check out our helpful Goldie Puppy Guide here. Did you know them all already, or have you learned something new to share with your friends? Let us know if we’ve missed your favorite furry fact in the comments section below and we might just add it in! Raffan et al, 2016. A deletion of the canine pomc gene is associated with weight and appetite in obesity prone labrador retriever dogs. Cell metabolism.